As we know, sea kayaking is opening up a whole new world of adventure. But choosing the right sea kayak is a critical decision. I have sea-tested my Pittaraks through Arctic storms and pack ice to the blistering heat of the equator. They have never let me down. They are the first kayak to have succeeded in both Arctic and Antarctic expeditions. 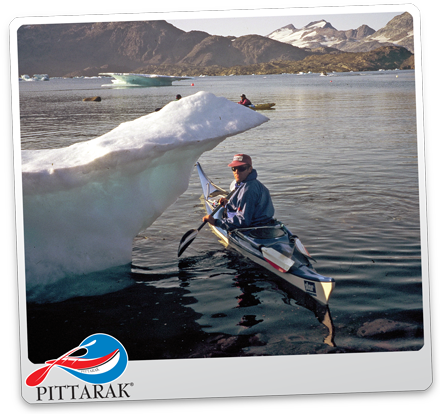 I have refined the Pittarak through a life-time of continuous sea kayaking. I consider them the best sea kayak available, but due to the success of the Pittarak there are unauthorised copies on the market which look attractive but are unseaworthy. For your safety, quality and value for money, only purchase my certified design. All certified Pittarak sea kayaks have a Larry Gray signed unique licence label within the cockpit with the contact details of PITTARAK International on that label. If you are considering purchasing a Pittarak or already possess one without the appropriate licensing label and would like to confirm the kayak’s validity, please contact Bruce Richards of PITTARAK International via the ‘contact’ section of this site. This web site and visual contents designed by Bahadir Çapar for PITTARAK Expedition Sea Kayaks - Australia | PITTARAK | Larry Gray | Sea Kayak | Bahadir Capar | Bahadır Çapar.